In this paper, we present Chung’s functional law of the iterated logarithm for increments of a fractional Brownian motion. 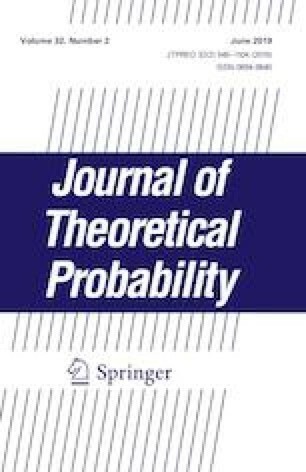 The corresponding results in Gao and Wang (Stat Probab Lett 73:165–177, 2005), Monrad and Rootzén (Probab Theory Relat Fields 101:173–192, 1995) and Wang (J Theor Probab 18(2):327–343, 2005) are extended. The main tools in the proof are large deviations and small deviations for fractional Brownian motion. The research is supported by the National Natural Science Foundation of China (NSFC) under Grant 11661025, by Science Research Foundation of Guangxi Education Department under Grant YB2014117, by Guangxi Programme for Promoting Young Teacher’s Ability under Grant 2017KY0191 and Guangxi Colleges and Universities Key Laboratory of Data Analysis and Computation.